Well I will be perfectly honest with you people, and by people I am referring to my good self and perhaps my wingman David and the few other lunatics that take time to read this. As I was saying I will be perfectly honest, I am not entirely sure what I am going to put here, but it will no doubt be ramblings about preparation for the rally, combined with odd modifications to the car combined with musings about my humble existence. Firstly I feel some explanation is in order. My name is Joe and I am the leader of a humble band of people we affectionately call Team Bugsplat. Way back when in the times when people had money and the banks hadn't put the price of petrol up (or some other misunderstood hypothesis about stuff I avoid caring about) it was the year of 2007. 4 years you say? this is merely a moment of time in the cosmic scale of things, a mere squirt of unleaded mid corner to correct the sliding in the combustion engine of the cosmos, but 4 years, this 4 years has been a lifetime for moi. 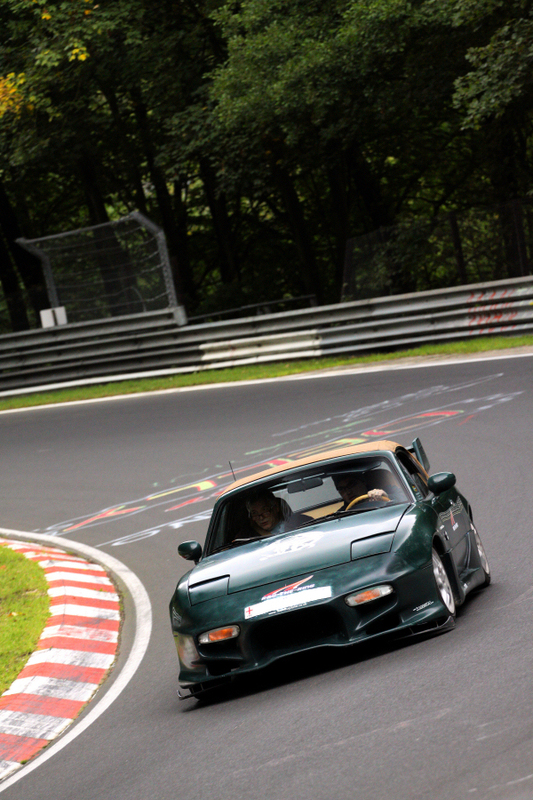 Its great fun to drive as we recently showed at the Nurburgring on the 'Rag the ring' event organised by the scrumrun organisers. Even in the pouring rain she performed awesomely and somewhat scarily. Had a few twitchy moments but she let me bring her back in line like a well behaved ex andrex puppy at crufts. Today I have kicked off the main drive for personal donations and sponsors. So far ive managed to get my work to sponsor me and one very kind gent I used to work with but hoping for big take up as time gets closer. 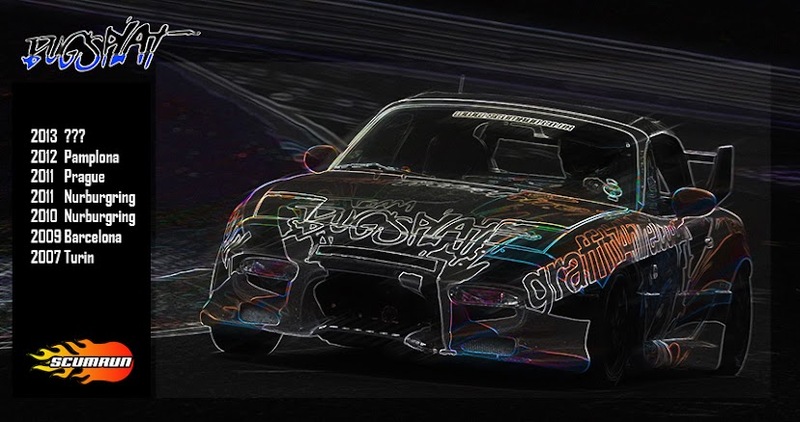 One of the other areas I am looking at is graphics for the car, been asking around and may have found some options with regards to crazy effects but ill keep them up my sleeve for the moment in case none of them come to fruition. So that's it, my first post. Apologies if its been a big let down, Ill do more to ensure that I have something worth saying for the next entry...and even if I don't I can't imagine many people would read this anyway.